Do you reside in Atlanta, Georgia? Are you looking for an opportunity to earn easy cash through your acting? Have you always wished to work in a super hero movie, even if it is just a minor role? Then the time has come to show your skills and earn a role in new Spider-Man movie, Spider-Man Homecoming. The movie is now casting for cafeteria staff extras in Atlanta, Georgia. Men and Women can both send applications if your fall in the age bracket of 30 to 60 years. Send the application as soon as you can, as the filming of the scene will take place close to Acworth, in the Northwest of Atlanta, Georgia on 30th June, Thursday. The casting directors are looking for middle class or blue-collar individuals, who know acting. Models and actors can also apply. If Marvel Comics are your thing, then Spider-Man is one of the characters they have created, and are now producing a movie on it. Spider-Man: Homecoming is a new American superhero film that will be directed by Jon Watts. Columbia Pictures and Marvel Studios will be producing this movie, whereas Sony Pictures Entertainment will be distributing it. 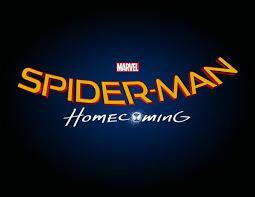 Robert Downey Jr., Tom Holland, Marisa Tomei, and Tony Revolori are some of the lead characters of the movie. The story line of the movie will be focusing on the childhood of Spider-Man before and after he joined Marvel’s Avengers. The movie is planned to release on 7th July 2017. Middle class and Blue-collared actors and models. The filming of the scene will take place in Atlanta on Thursday early morning at 6:30. You will be paid $68 for working 8 hours. Add Cafeteria Staff in the subject line. Also, send a professional or candid shot, if you have got one. Selfies are accepted too. For men, please include sizes of collar, waist, sleeve, inseam, jacket, and shoe. For women, please include the sizes of pants, dress, pants, bust/bra/cup, waist, and shoe. You can also add your resume or details of past acting experiences. So apply away if you want to work as a local hire, and earn a few extra bucks, while doing what you love the most. This may be a new hope for your acting career!